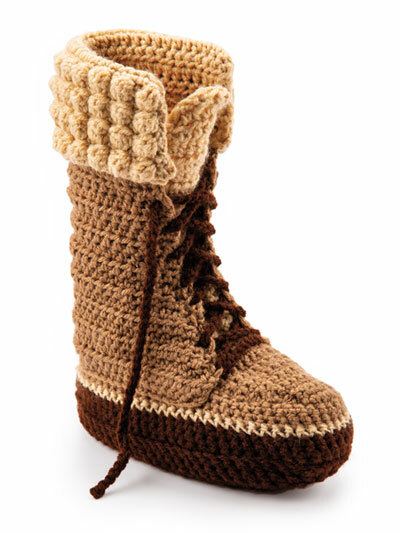 These stylish slippers will keep your feet warm all winter! 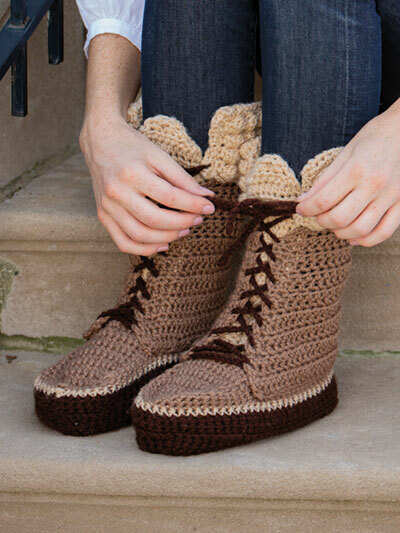 Slippers are made using worsted-weight yarn and a size I/9/5.5mm crochet hook. Instruction are written to fit child (woman's S, M, L). Previously published in Crochet World February 2019.